Have you ever owned a product that was almost perfect but just lacked that touch more bass extension, separation or some other quality? It can most likely be achieved with some careful tweaking to `voice` it differently, please feel free to contact me to discuss one-off projects. I FIT A HIGH QUALITY REMOTE CONTROL TO CROFT PRE-AMPS. Approved by Glenn Croft. 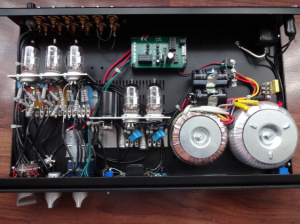 I BUILD A PASSIVE CROSSOVER FOR THE BBC LS5/8 TO ORDER. 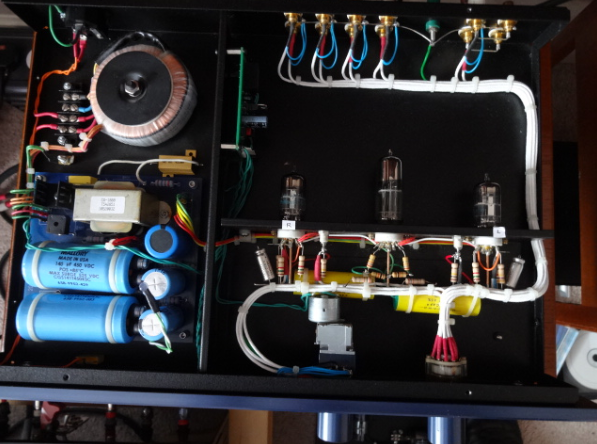 Tuning of pre and power amps using a selection of capacitors to voice to customer`s requirements. E.g. They can be modified to give a fuller bass or more top-end extension and detail according to system requirements. Battery power supply modifications to turntables giving great gains in speed stability, separation and imaging. Speaker crossover mods to classic designs including re-alignment due to ageing of drive units. Metal-dome tweeters can be toned-down subtly. Open baffle speaker designs are available for demonstration. Re-terminating your interconnects/speaker cables with your preferred connectors. Setting-up turntables using Dr Feikert alignment protractor. 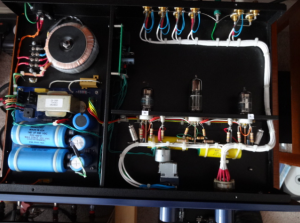 DC power supplies for turntables, DACs etc. Fitting stereo pots and remote-control to e.g. the Croft pre-amp range (see example below). Voicing and upgrading speakers to your requirements and re-calibrating of `classic` speaker crossovers. 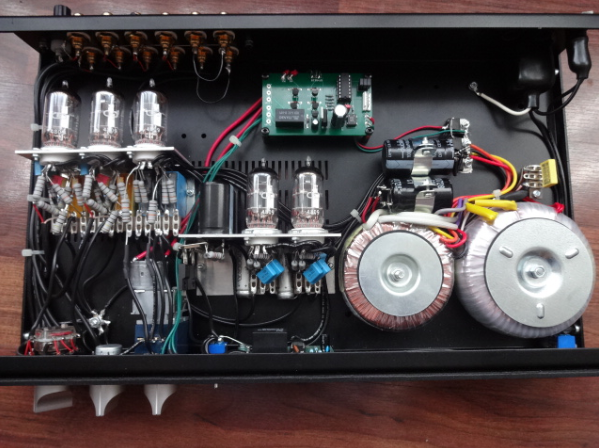 Mod 21, wiring link mod, chip changes and power supply upgrades etc. Trained by Stanley Beresford to upgrade his range of Beresford DACs. Prices are realistic – please contact me for a competitive quote. “As previously intimated I am very pleased with the upgrade to my TC-7510 which you performed . However I think it is important that you point out to customers that the unit takes app. 24 hours use before it performs at its’ best . After this time I can report to you that I experienced improvements in all areas of performance. The soundstage is much bigger . Bass is tighter and cleaner , driving the music along without overpowering it. Midrange is also much cleaner , voices in particular are more expressive , all eminating from a much quieter background . Also top end is excellent , cymbals and tambourines in particular sounding much more realistic. I was listening to a track which I know well the other day and what I thought was a xylophone turned out to be pan pipes . The system now has a much greater sense of ‘air ‘ and has become much more ‘holographic ‘ . Improvements not very easy to describe but very easy to hear. The system appears to be improving incrimentally with use. Many thanks for a fantastic service . It has been a pleasure to deal with you , and I look forward to availing myself of any further upgrades in the future. Croft 25R with remote control! I can fit remote control volume control to your Croft pre-amp … for the audiophile who is looking for sound quality with convenience! 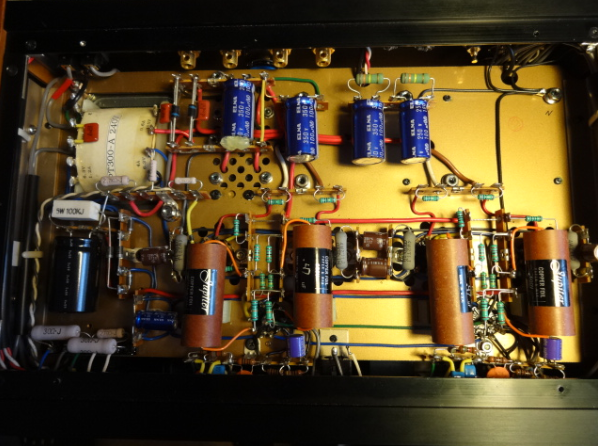 Leben CS-300 EL84 amplifer upgrade. Using the new Jupiter copper foil capacitors and a Furutech socket. 4 resistors had to be moved and capacitors are glued to concave support blocks. Remote-control fitted to a Canary CA 601 Mk2 pre-amp below. The customer wanted the volume to work via his Quad 99 CDP-2 remote control so processor chip had to be changed on remote-control board.